Now, I do know the New Haven had a yard in Springfield and did switch cars in Holyoke. And based on the map below they made it as far north as Williamsburg. My question is, did they use the River Line thru a trackage agreement with the B&M to interchange in Holyoke and to get to points north in Northampton and Williamsburg? No, The New Haven had its own trackage, originally all the way up to Shelburne Falls. It was the former New Haven & Northampton Railroad and its connections, later known as the NH's Canal Line (so called because much of the line followed an old barge canal). Westfield-Holyoke is still active as the Pioneer Valley RR, which picked up the remaining track north of Westfield from Conrail. The "main" line to Northampton was also run by the PVRR as far as Easthampton into the 1980s. North of there to Northampton was abandoned in Penn Central days, although the NH right-of-way through Northampton is now a bike trail. That NH map is circa early 1960s based on the line shown. If you find an older one, you'll see all the lines that once existed above Westfield. Last edited by TomNelligan on Thu Apr 12, 2012 7:44 am, edited 1 time in total. They reached Northampton and Williamsburg via the Canal Line through Westfield. Holyoke was reached from Westfield via what is now the Pioneer Valley Railroad. The line originally extended from Northampton to Turners Falls and another branch to Shelburne Junction. For a short period in the late 1800's there were trackage rights over the Fitchburg RR to reach North Adams via the Hoosac Tunnel. Thank you both! I'm not sure how my brain completely failed me on the PVRR's trackage. 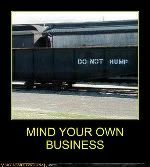 I see their trains at least once a week in Holyoke or Westfield. I also found my 1970 PC timetable that still shows a train operating on the westfield branch as well as the Holyoke canals. This is the line that would have went through Deerfield and up through Conway to Shelburne Falls right? I think somewhere on the boards I saw a picture of the remains of a bridge going into Conway. Anyone know where that picture was posted and if there are any more remains of this line visible today? I Grew up in Deerfield, live in Salem now. But very interested in learning more on this line. Not just a bridge, my friend, but the longest and tallest trestle bridge in New England back in the day --- torn down, unfortunately. around 1923 just after the abandonment of the New Haven's Shelburne Falls branch. And yes, remnants of it can be found; in fact, a footbridge has recently been built using the piers in the river that supported the original bridge. Also nearby, crossing under the westerly abutment (which still stands), is the ROW of the Conway Electric Railroad trolley, most of which is now a road, winding its way down a steep hill to the site of the former Conway railroad station and across the Deerfield River to site of another depot on the B&M. The whole thing is a fascinating place to visit. Google "South River Trestle Conway Massachusetts" and you'll find pictures of the bridge. I was able to find this picture from when the bridge was still intact. My uncle used to work on the New Haven. One of his regular runs was from Cedar Hill, to Holyoke. 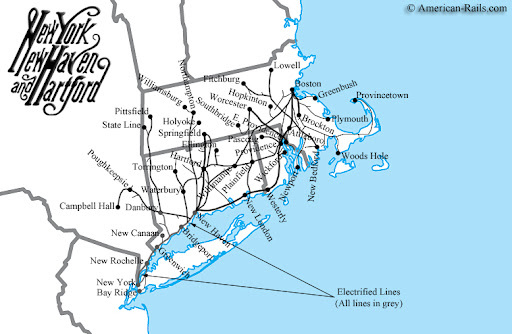 The route was Hartford Division to Berlin, Berlin Branch to New Britain, Highland to Plainville, Canal to Westfield, and finally the Holyoke Branch to Holyoke. When the CNE was in, they had rights over B&A from Agassi Jct., to Springfield. One other point about the upper Canal is that the B&M took over the line between where it ran under the Fitchburg at East Deerfield, to Turners Falls.